Taking a break from routine, Charles and Camilla, Duchess of Cornwall, embarked on a 12-day tour of New Zealand at the end of 2015, which included a well-timed visit to organic winery Mahana Estates. The Royal couple timed their visit to coincide with the Mahana Estate’s ‘From Source to Serve’ food and wine event, which showcased Nelson’s local produce, including wines, craft beers and cider, cheese and seafood. 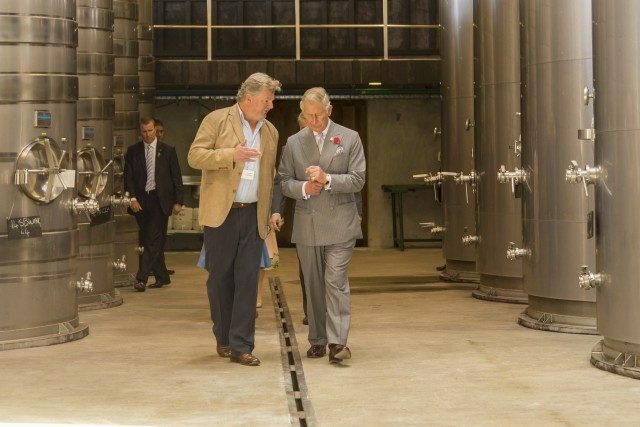 Camilla, you may not have known, was president of the then-UK Vineyards Association, which used to represent the interests of viticulturists in Britain before it merged with English Wine Producers (EWP) in September 2017 to form Wine GB. Shedding some light on the topics of conversation during the visit, wnemaker Michael Glover said sustainability and organic wine production was high on the agenda.